How Would You Balance Wildlife Conservation and Economic Growth? 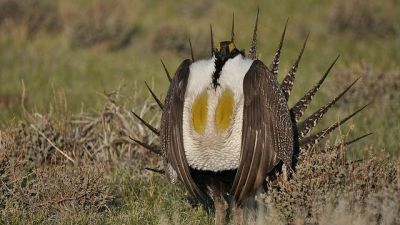 A male greater sage grouse struts at a lek, near Bridgeport, CA to attract a mate. Photo by Jeannie Stafford, U.S. Fish and Wildlife Service.